Close with lid and allow it to cook for a couple of minutes before turning them over. With another light spray, cook the top side for a couple of minutes longer until the entire pakoda is a pleasing golden brown crisp. c) Fresh entries are accepted, upto a max of 2 archived entries allowed as long as they are linked & re-posted. d) Link to Kalyani’s event announcement makeover as well as this post is necessary. 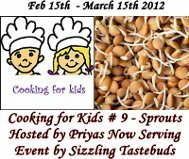 e) Event runs from 15th Feb – 15th March 2012.
f) Kindly use the linky tool provided below to enter your recipes. 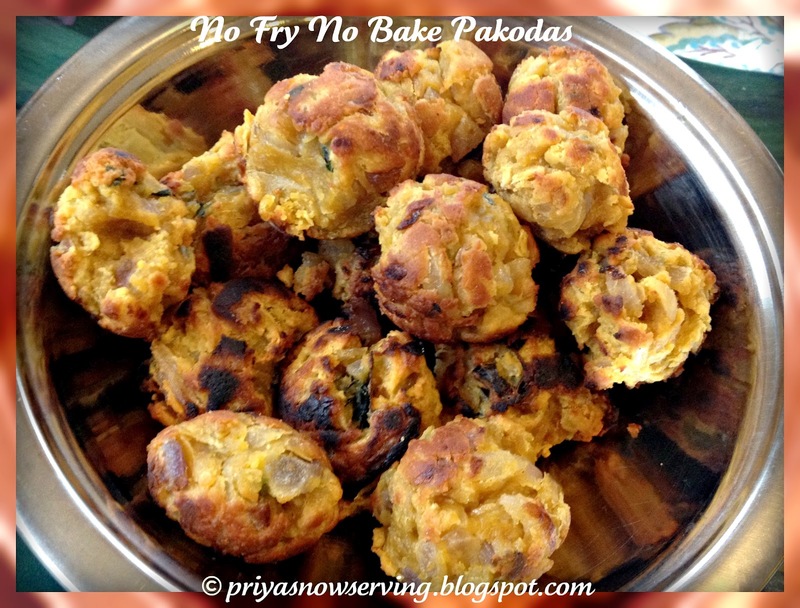 thats a lovely guilt free snack and yummy way to enjoy favorite pakoras! Oooooooo, that's an appam maker right. Reading the title, first I thought you baked the pakodas~! 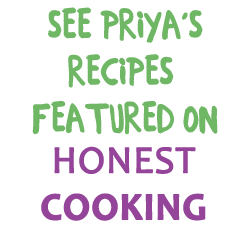 Gonna check out your guest post now..
Yummy pakodas and I read your lovely post at Sobha's..
this is a great alternative to deep fried foods! wonderful idea Sobha! Great way to make deep fried snacks. These Pakoras are too healthy and yummy to resist..Cheers! I don't have this 'Appam Pan' by now but now I surely need to buy one…such a healthy version of the otherwise deep-fried, greasy pakodas. Love the no fry dish. I don't have the bagel pan but I suppose these would work in the oven too. 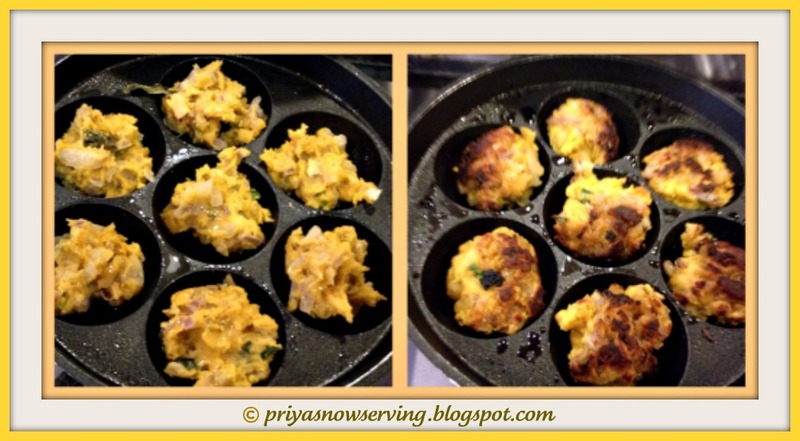 I was just across at Shoba's to see your guest post and this amazing pakhora recipe. I'm a totally pakhora person and you can't imagine how much this healthier version is tempting me. Wish you lived closed by! Super tempting pakoras,looks so healthy n yummy. This looks so good. Yummy! delicious and healthy snack… fabulous post..
delicious!……….just wat we want with a hot cup of coffee! Waw great way to enjoy crispy pakoras without oil. Healthy snack. 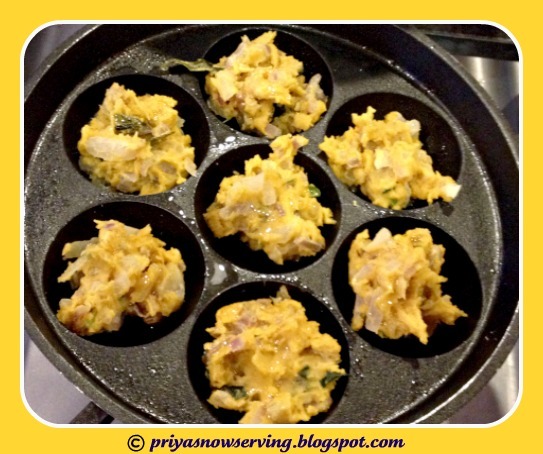 super like pakoras..no fry,guilt free ones!! Lovely event as well..Happy hosting,Priya! I love pakoras but have never made any. I'm going to try this recipe, using a muffin tin. Not sure what "pray the dips" means but we'll see how it turns out. That's lovely. I like your no fry pakoras. That's what we need. Everyone loves pakodas..and when they are not fried, we can eat them without feeling guilty… thanks for sharing. excellent use of the kuzhi paniyaram pan! They'll be perfect for an evening snack! I am bookmarking this! Love pakoras but have always felt guilty since they are fried. This is a fantastic way to enjoy them. wow, dint know that pakoras can be done this way! !